Deliveries of the CRJ900 with 76 seats to the US subsidiary PSA Airlines will begin in the second quarter of 2019, Bombardier said in a press release. Bombardier's commitment, which includes 15 additional CRJ900 options, has a list price value of USD 719 million. The Canadian aircraft owner will equip the plane with the new "atmosphere" cabin of the company, which includes overhead compartments that can accommodate large roller bags. Embraer will deliver the 15 E175 with 76 seats to the US subsidiary Envoy from March 2019 to November 2019, according to the manufacturer. That agreement, including the options for 15 E175 plus, has a list price value of USD 705 million. Follow an American order for 10 E-Jets in October 2017. 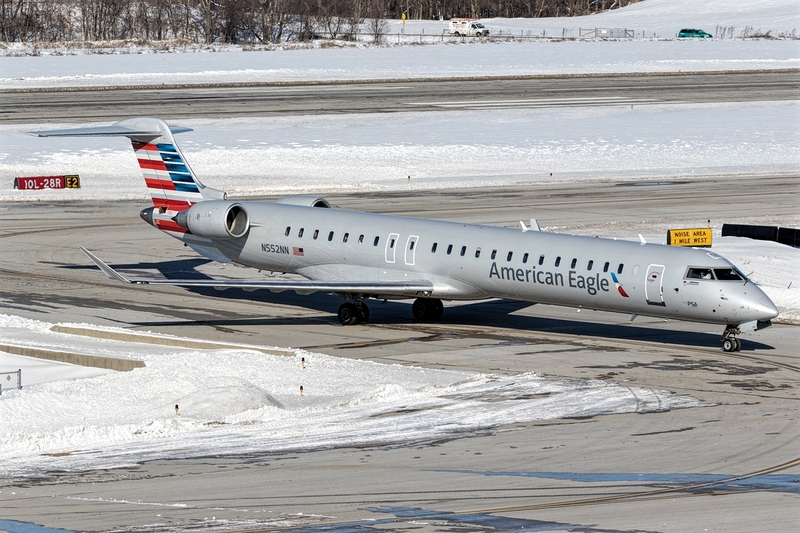 American will use the E175 to replace smaller regional aircraft in its power fleet, the company says.